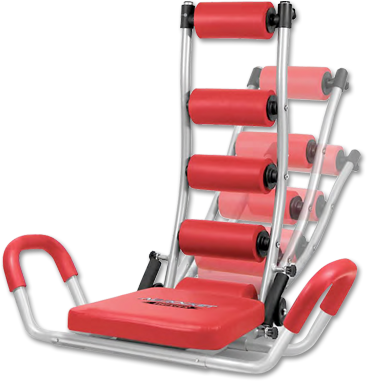 The secret is the Ab Rocket Twister's exercise efficiency technology. It starts by offering resistance on the way down and on the way back up for double the impact. Get ripped, washboard abs in half the time! It not only works as a great abdominal machine, but also as a pilates assister. 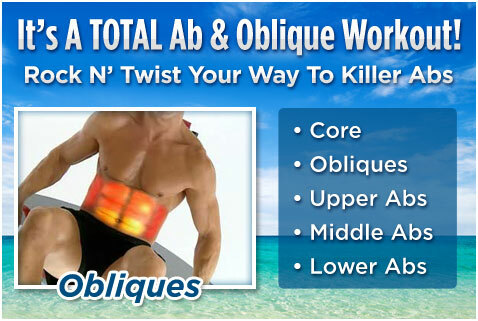 It focuses truly on the muscles you want to tone, the abdominals. And it's great for people at home because it puts you in the perfect form. I would like to make one simple payment of $99.75 plus FREE S&H and get FREE 3 Year Warranty! I would like the 5 pay of $19.95 offer. 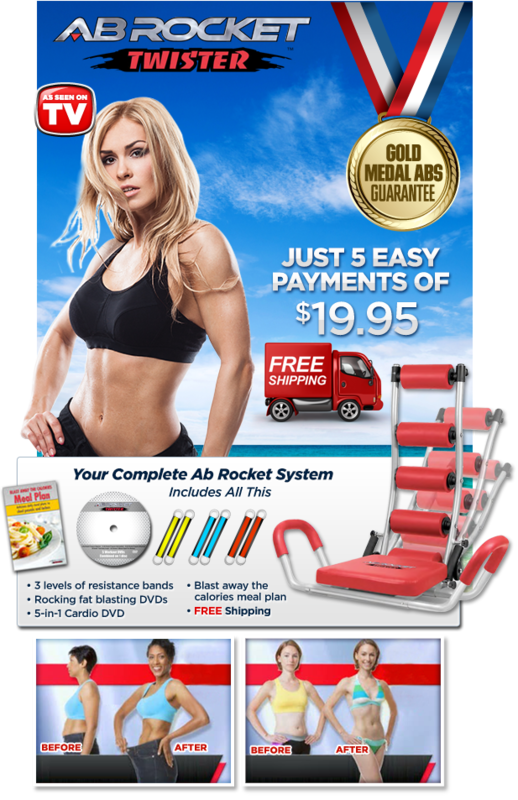 Buy the Ab Rocket Twister for 5 easy payments of $19.95 and FREE shipping and handling. If you prefer to make one easy payment of $99.75 and FREE shipping and handling as an added bonus you will receive an extended 3 year warranty FREE! Residents of NJ, NY, NV, and CA add applicable sales tax. For customer service, please call 1-800-686-1727 between the hours of 8:00AM - 8:00PM EST. The quickest and easiest way to contact us 24 hours a day is by going to customerstatus.com. Please allow 24-48 hours from placing your order until its updated in our systems. There will be a $10 shipping surcharge for all orders placed fro AK & HI. A $20 shipping surcharge will be applied to all orders placed from Puerto Rico.